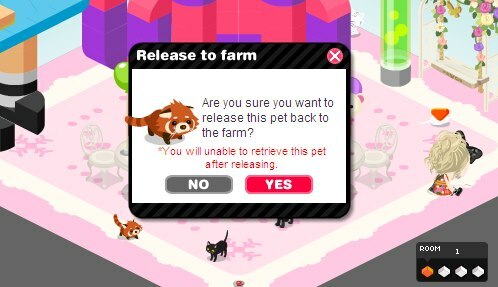 I remembered how proud I am to post that the Lesser Panda I got is probably the first one who got adopted in pico world last August 27, 2012. Today, when I went on, Faith suddenly message me that there is a White Lesser Panda in the farm where she's located so I sent back Voie Lactée to the farm and hurriedly followed Faith. Sadly, it was gone.